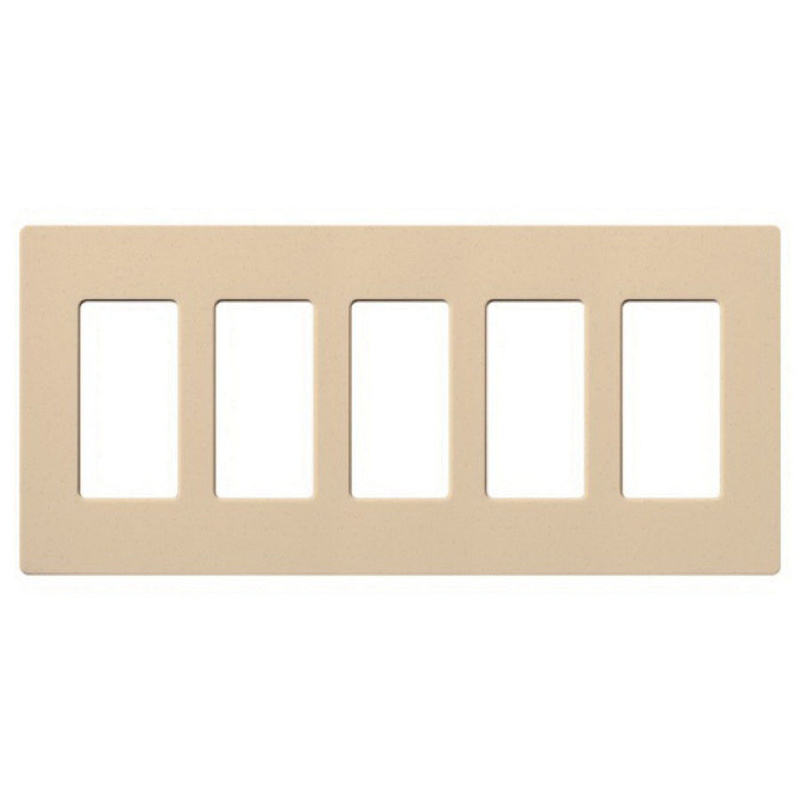 Lutron Claro® Satin Colors® 5-Gang standard size screwless wallplate in desert stone color, has satin finish. It has polycarbonate construction for impact resistance and durability. This designer style wallplate has five dimmer configuration. The rectangular wallplate with horizontal orientation, measures 10.18-Inch x 0.3-Inch x 4.69-Inch. This wallplate has a front plate that securely snaps onto alignment adapter plate. It is suitable for Maestro®, Maestro IR®, Maestro Wireless®, Pico™ wireless control, Spacer System®, Diva®, Lyneo® Lx, Skylark®, Skylark Contour™, Osprey and RadioRA®. Screwless wallplate meets UL, CSA, NOM and ISO standards.